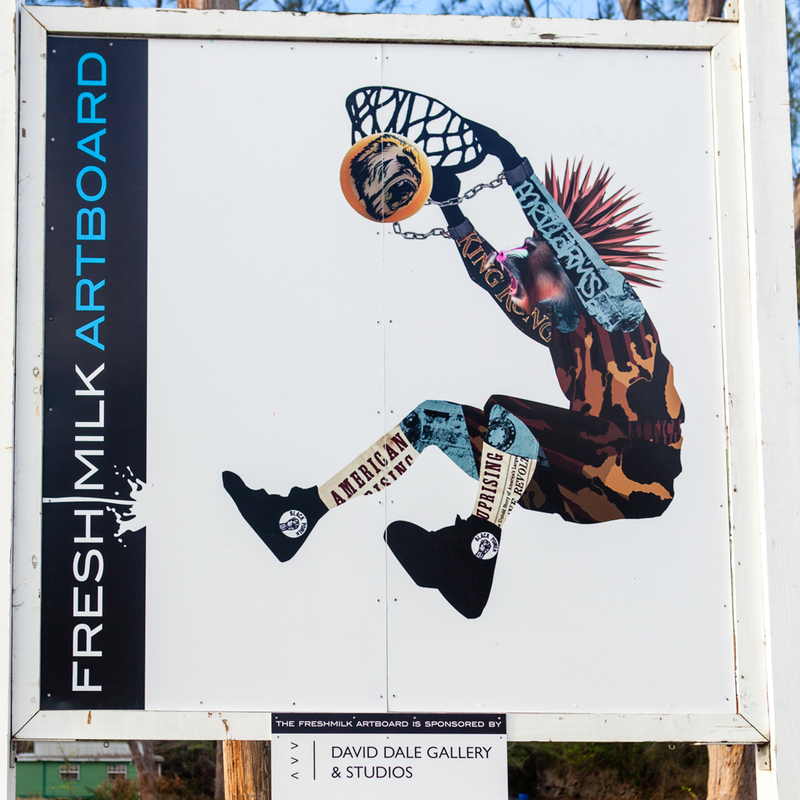 We are thrilled to have received the support to have a new image installed on our public gallery space, the Fresh Milk ArtBoard. 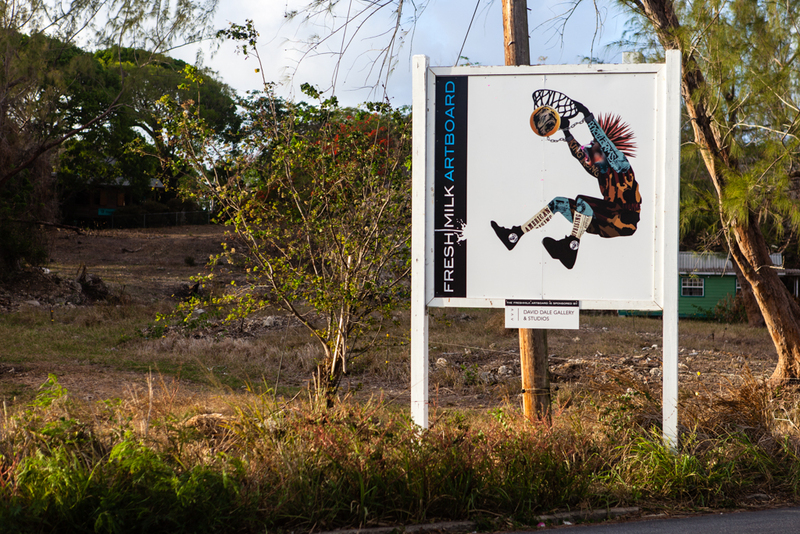 Sponsored by the David Dale Gallery & Studios, Glasgow, we are now featuring the work of Barbadian artist and member of the Fresh Milk Books team Ronald Williams. Ronald’s work will also be on display in Glasgow this July-August as part of Fresh Milk’s component of the International Artist Initiated project. As part of The Glasgow 2014 Cultural Programme, the David Dale Gallery will present International Artist Initiated, an ambitious collection of events and exhibitions to coincide with the Commonwealth Games. Working with artist initiated organisations from across the six Commonwealth territories, including Fresh Milk, the programme will consist of a series of projects by the invited organisations which respond to the context of the Commonwealth Games within Glasgow, and is representative or indicative of contemporary culture within their nation through the lens of artist-led organisation. Inspired by the dynamism and power of Shaquille O’Neal’s Dunkman logo; as well as his legacy of being one of the most aggressive, combative and dominant players in the NBA’s history, ‘The Beast’ is my expression of the “black male-brute” stereotype. Using the original logo as a template, I collaged photographs, various images found in popular media and historical texts via Photoshop to form the final piece. While it was not necessary for the viewer to know which athlete a piece is inspired by, that knowledge of the athlete was critical in my selection of the images to use. For ‘The Beast’, intuitive decisions were made based on my perception of O’Neal and his presence as a cultural icon. Conceptually, ‘The Beast’, like many other collages, is deliberately self-contradictory. Slave revolt texts and upraised fists are counterbalanced by shackles still intact, while the iconic black power symbol when placed on the shoes becomes an ironic brand worn by the primate character. Through these symbols I acknowledge the important role basketball, and by extension sports, has played in bridging social and economic gaps while also criticizing how the system is set up. The image of the black male being less than human—a big, powerful animal—is one we have struggled to erase, yet the narrative of the NBA has constantly reaffirmed this. 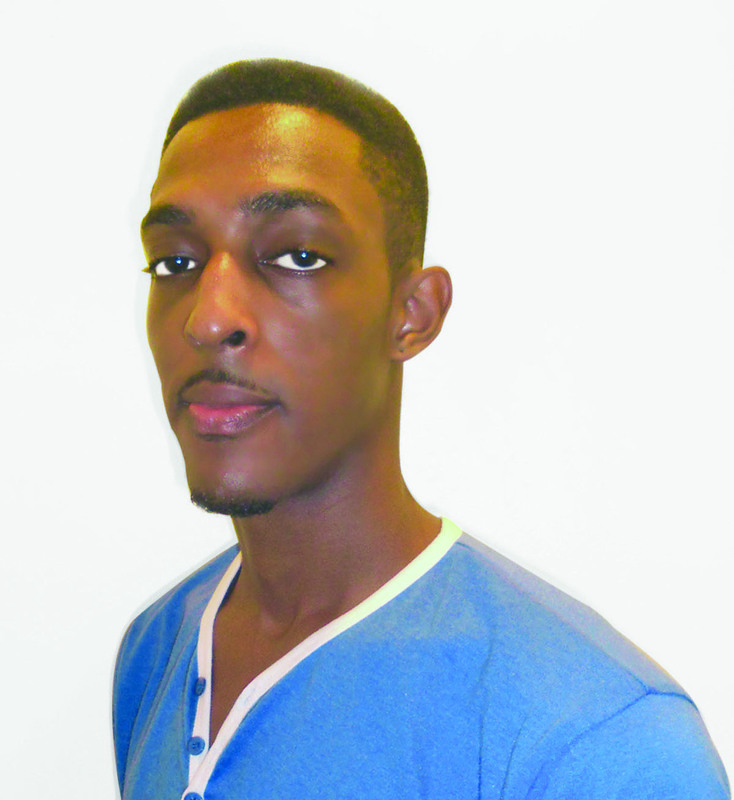 Blacks are generally praised for their athleticism, strength and physical qualities while the most lucrative deals and sponsorships usually go to the black basketballers who best exhibit these traits. As the character in ‘The Beast’ is shackled to what is effectively his own image, I fear some part of the “black male-brute” stereotype is ingrained in our psyche. Many black basketballers voluntarily embrace being a beast on the court while the sports and media industries eagerly promote these images. It’s a catch-22 situation; as we have bridged many racial gaps, we have also unintentionally reaffirmed misguided stereotypes.